These solid boulder opal earrings have been made from a natural split. 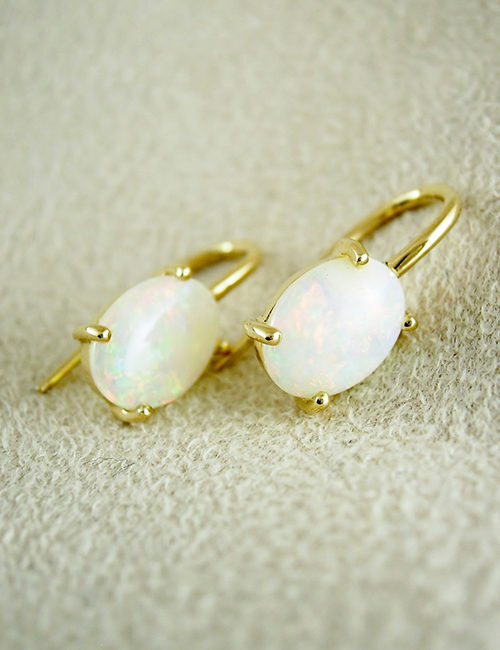 We split one vein of opal to create a mirror image …a matching pair. These earrings have sparkly turquoise green tones and are set with anti tarnish sterling silver. They measure 34mm in entire length with the opals alone measuring 16mm x 4mm.